Family movie night has a whole new meaning for me as of late. Now that my oldest is truly into watching movies, family movie night is a set date once a week on our calendar. We pick out a movie, head for the couch, and relax after a long week of work, homework, and stresses. Family movie night means lots of snuggles. Family movie night means little hands in a bowl of popcorn. Family movie night means fun discussion about movie themes and topics. Family movie night means a special time for us to have one-on-one time with our daughter after the triplets have gone to bed. Family movie night means lots of giggles. I could keep going, but hopefully, you see that family movie night is something we fondly anticipate. With it having so much meaning for me, when thinking about gifting for the holidays, I want to share that same feeling with another family. 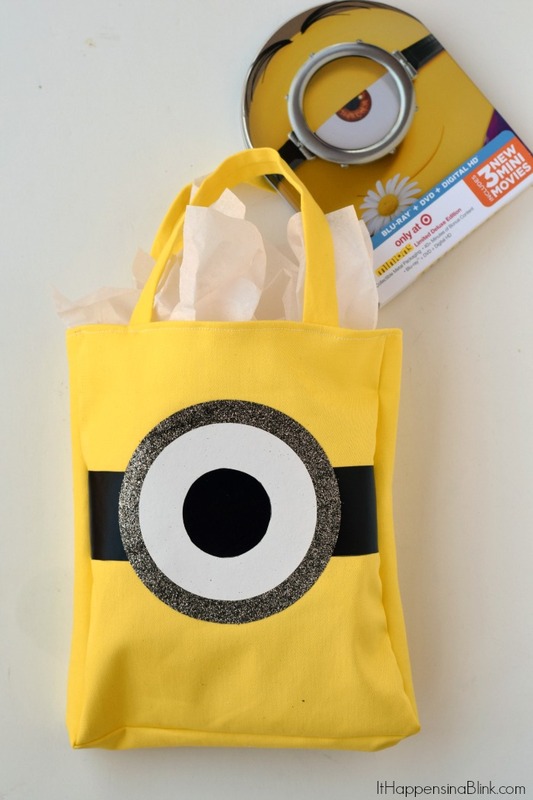 The December 8, 2015, release of the Minions came just in time for a fun movie to gift for a movie night! Kiddos love those little minions and all the laughs that they facilitate. Today, I’m sharing a cute and easy DIY gift bag tutorial that anyone with beginner sewing skills can recreate. It fits a movie case and a snack perfectly. Please note: This is a simple gift bag using only single folded hems. If you are an experienced seamstress, feel free to add in a double folded hem at the top and a lining to the bag. 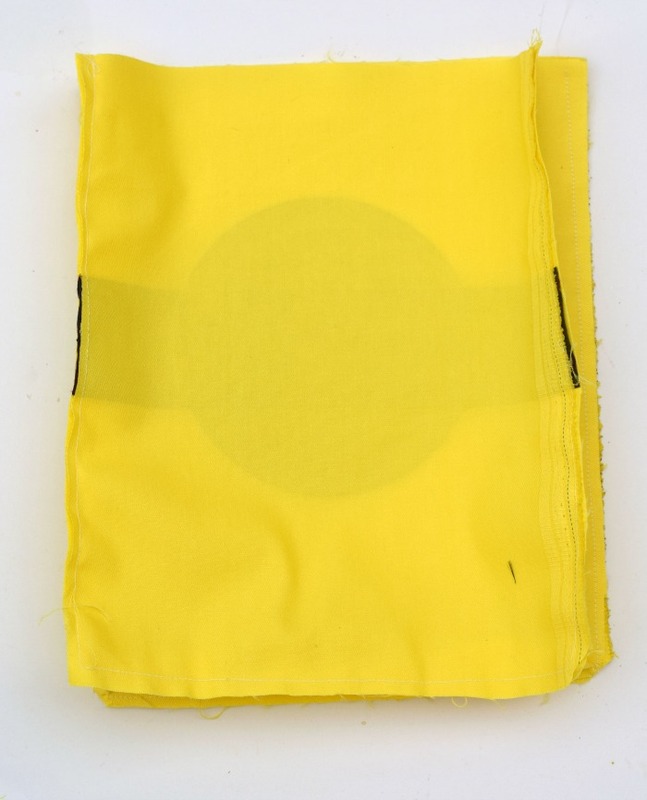 Before sewing, use the heat transfer vinyl to create the goggles look on the front of one of the yellow canvas rectangle pieces. If you have never used heat transfer vinyl before, check out my Tips and Tricks for Using Heat Transfer Vinyl post. Ranking as one of my most popular posts of all time, it is helpful for those using heat transfer vinyl for the first time! 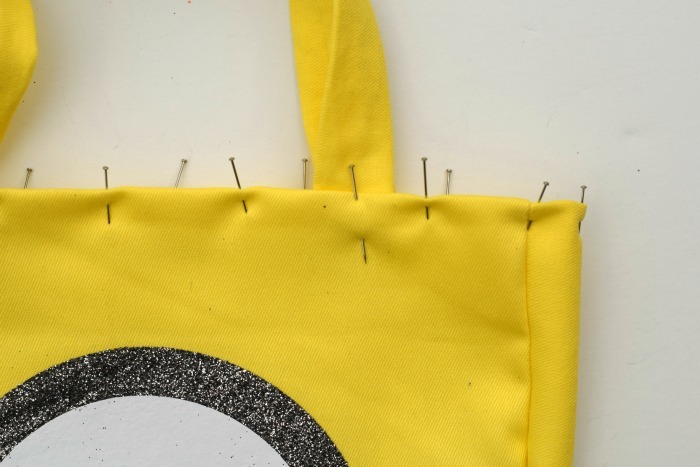 Use the iron to attach the black rectangle to the front of the yellow canvas piece. 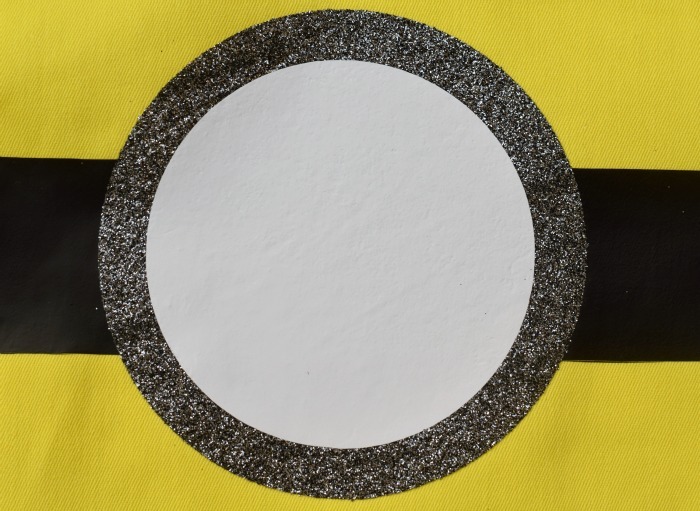 Layer the silver circle on the bottom and the white circle on top. Place this in the center of the black rectangle. Use the iron to attach. Complete the process with the black circle. Now let’s get to sewing. 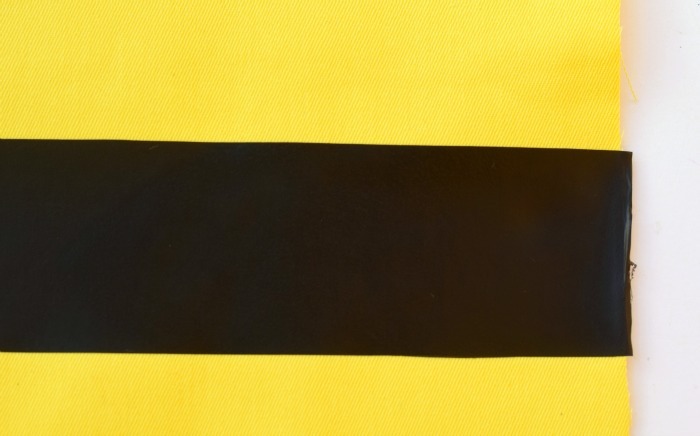 Take the long yellow canvas strip and pin it around the yellow canvas rectangle (the one without the vinyl). Fold the corners in as shown below. 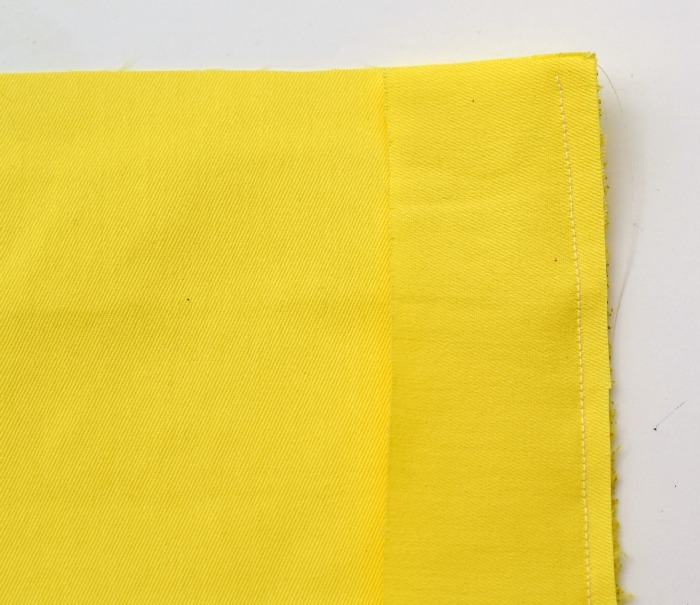 Sew around the edge with a 1/4″ seam allowance. 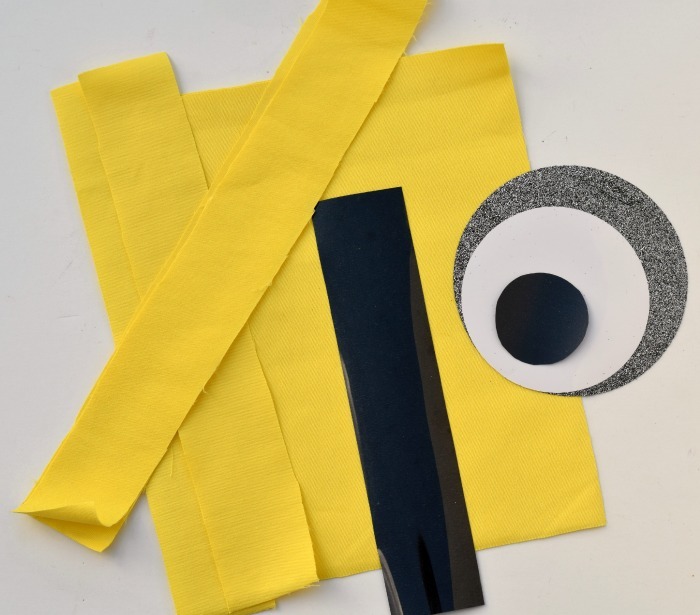 Pin the other yellow rectangle (the one with the vinyl) to the long yellow strip, making sure the right sides are together. 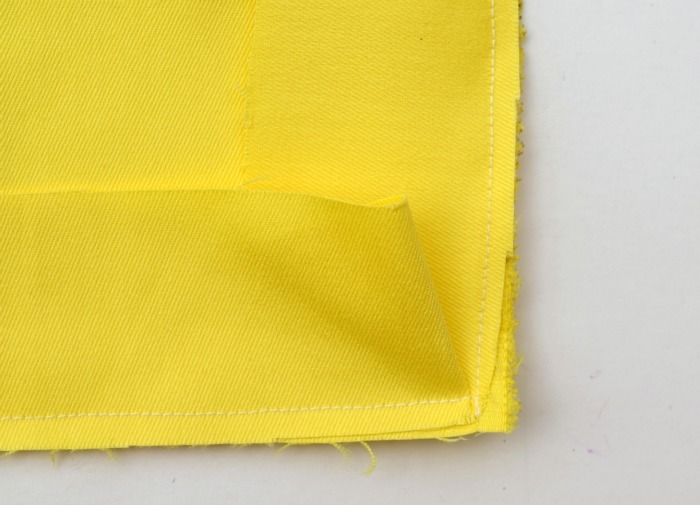 Sew around the edge with a 1/4″ seam allowance. Turn the bag inside out. Fold under 1/4″ at the top. Pin. Set aside the bag. Fold the two handle pieces in half so that they form two tubes. 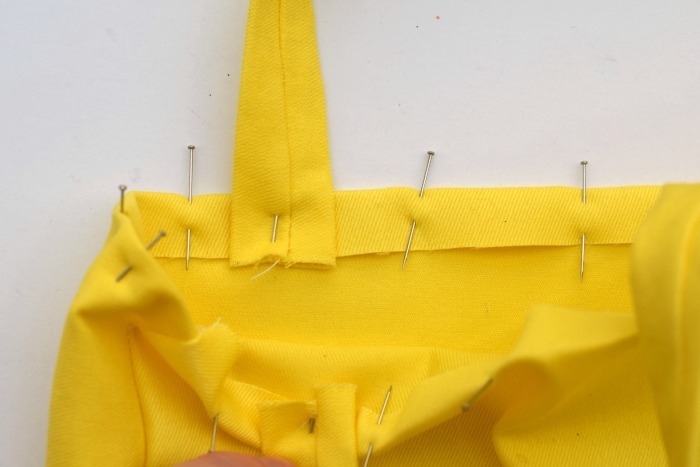 Sew down the raw edges. Turn the tubes inside out. Pin one handle on each side of the bag on the inside to form a handle. Pin about 1″ from the sides. This is what the top will look like before sewing. Sew around the top of the bag to secure the top and the handles. 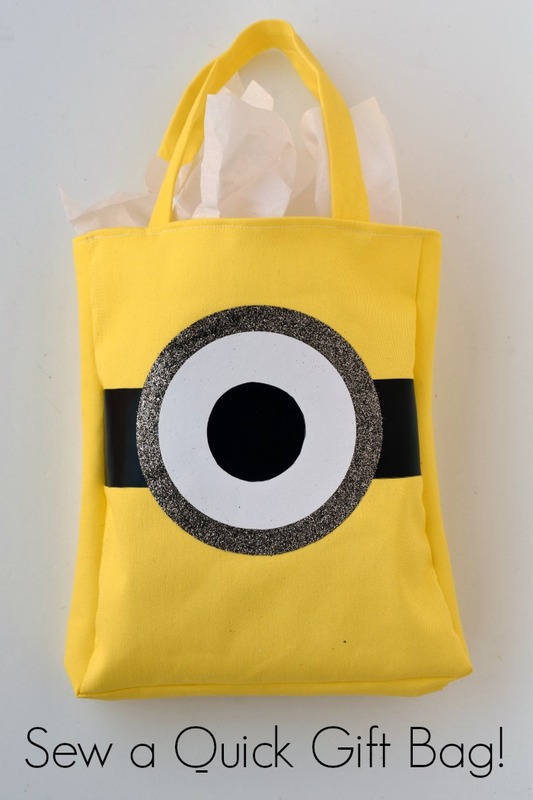 Now fill with your family movie night gifting goodies! There’s no better place to purchase family movie night merchandise than Target, the perfect one-stop-shop for all your movie night needs. 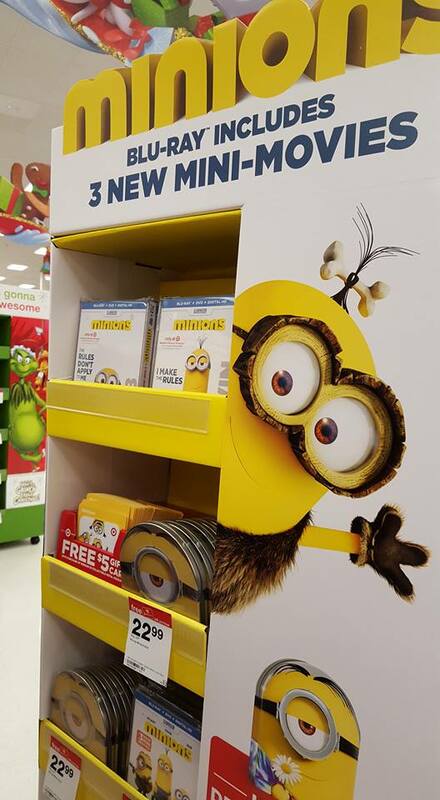 Locate the Minions movie at your local Target in one of their specially marked displays or order the movie online and pick it up in store. 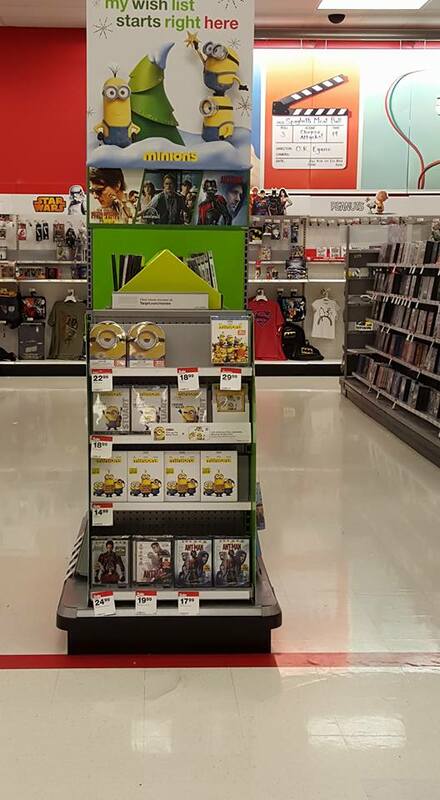 Target also carries a wide selection of additional minions licensed products, such as books, toys, apparel, and more. 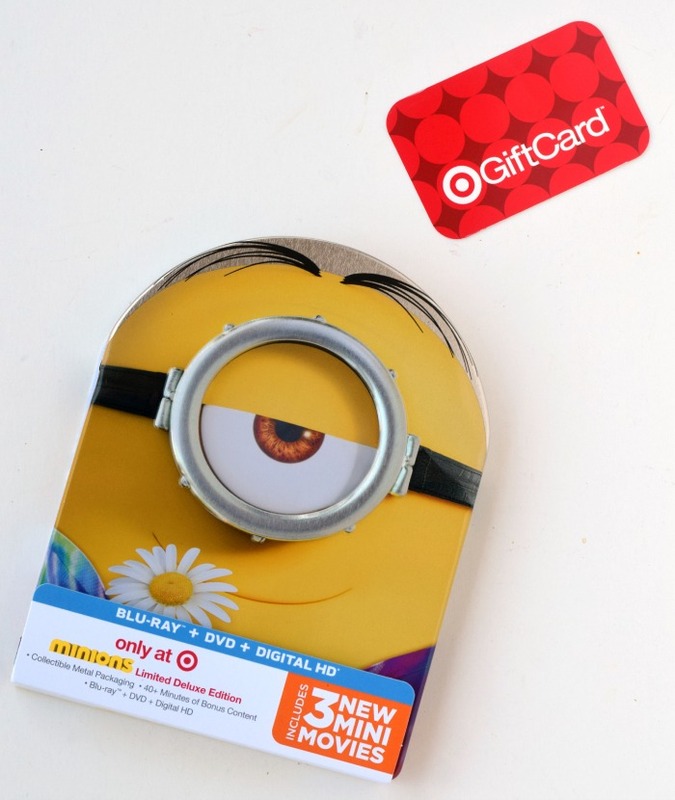 To sweeten the deal, Target is offering a $5 gift card to those who purchase the Target exclusive Minions Metal Pak Blu-ray/DVD – Deluxe. 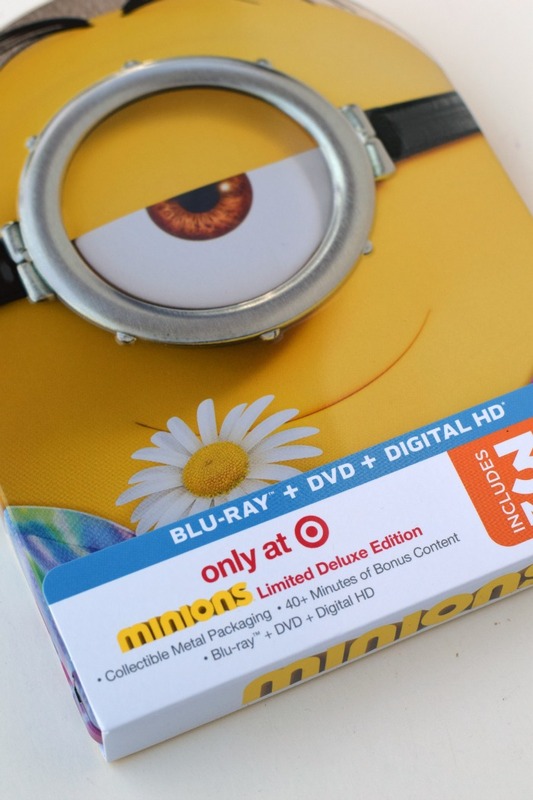 The Minions Metal Pak Blu-ray/DVD – Deluxe contains 40 minutes of Target Exclusive content. 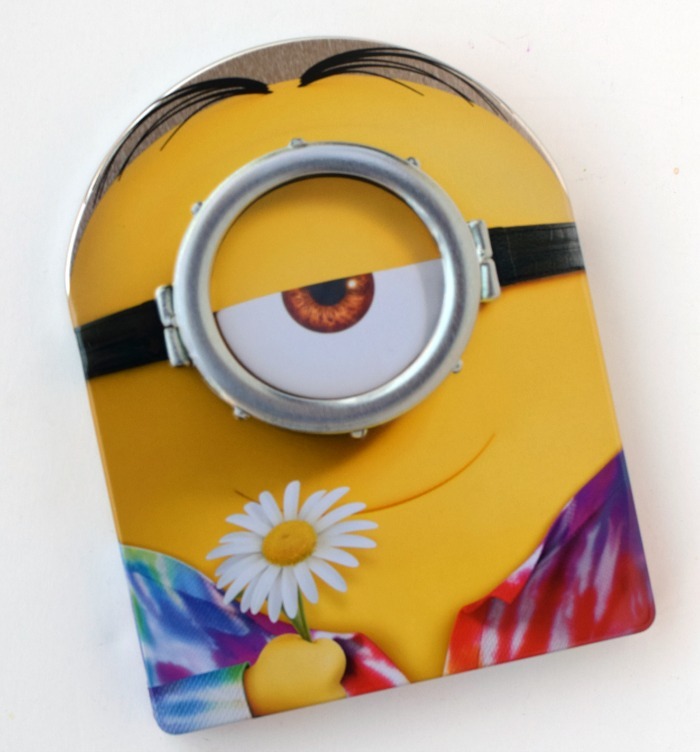 Isn’t the Minions Metal Pak Blu-ray/DVD – Deluxe adorable? I don’t think I’ve seen a cuter movie packaging! Be sure to grab a favorite movie snack while in Target to add to the gift bag. 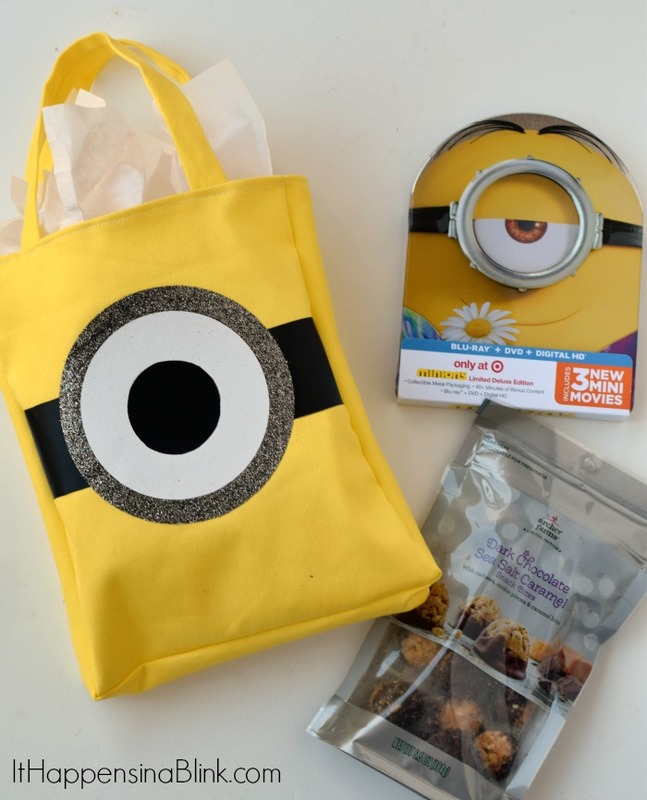 The bag is the perfect size to include the movie and a few fun treats! So tell me, who in your life would like the gift of a family movie night? This is adorable…my kids would LOVE it. You’re so creative! We got the movie on the day of it’s release and I think the kids have watched it 15 times already! These are so cute. I love movie night with my grand-kids, all that snuggling. This is the cutest thing ever! My girls would flip over it! oh my gosh – this is so cute – my son would die for this! A new item on my bucket list! 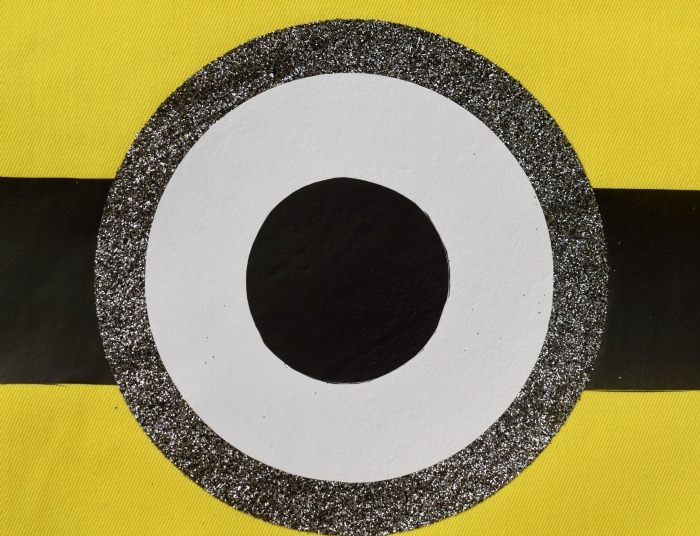 This is surely fun to make, a perfect gift for my minion lover son. Thank you for your detailed procedure. Gotto practice one of this days! Thanks again!